Welcome on Thales Supplier Portal ! As a Technology provider, Thales had to propose a simple and direct tool in order to develop a mean to communicate more efficiently with our Suppliers. 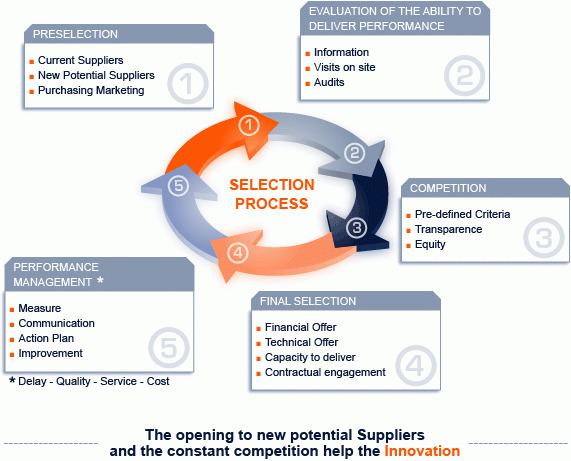 "You will be able to discover Thales Group Purchasing Organisation, our Supplier Relation as well as Thales Quality." Thales is continuously seeking for optimizing its Supplier Base while retaining those Suppliers demonstrating continuous Performance and Competitiveness. Within its supplier policy, Thales has the duty to respect laws and regulations; and require the same from its suppliers. Supplier relationships are handled in an equitable manner for the interest of both Parties. There's a signature of a good practices charter between principals and SMEs​.